Join the Balloon Crew 2019! Sign Up to be a part of the Balloon Crew 2019! 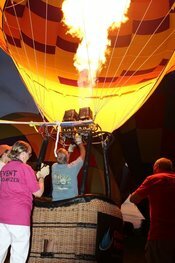 The BFA is a 501c3 non-profit association dedicated to the advancement of the sport and science of lighter-than- air aviation, both hot air and gas balloons. Founded in 1961, membership in the BFA is open to anyone who shares a fascination with Lighter Than Air flight.